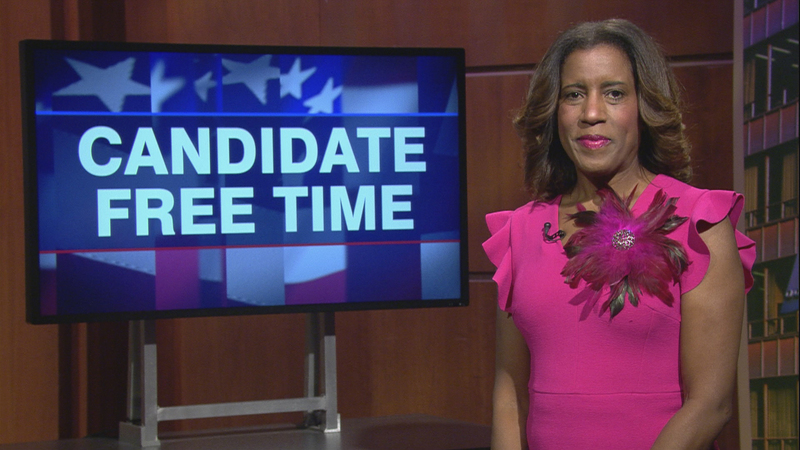 Video: Donna Miller tells voters about her platform. Learn more about Candidate Free Time. As a mother, wife, working woman who has been involved in community activities in the South Suburbs, I realize what affects my family also affects other families throughout the 6th district. There are many great neighborhoods throughout the district and I would like to see them grow and provide opportunities for all of our children to build their lives in our area. I want to ensure that families have everything they need to have a great quality of life in the area they live, work and play. My vision is to be a collaborative partner on the Cook County Board to bring resources to the residents of the 6th district that focus on a fairer property taxes system, bringing economic development to the Southland and identifying ways to end healthcare disparities that affect the most vulnerable. I will use my healthcare and business background to work with the various levels of government to achieve these goals. I strongly believe that community input and transparency in plain language into the decisions that the Board makes needs to be improved. Keeping people informed and up to date on the issues that concern them is important to me. The most pressing issue facing constituents is the well documented unfair tax assessment that is in the South Suburbs. The 6th District on the east, south and west directly borders Indiana and Will County. The accumulative lower tax base in these communities has a direct impact on the business community in the 6th District. The recent approval of the sugar tax that had been repealed only highlighted this issue. Many friends informed me that they traveled out of our communities for soft drinks and purchased other items such as food and gas. This has an overall impact on the Southland. Although county taxes help provide valuable services, they should also be a fair taxation and distribution of revenue. Increase businesses and working families will come to my area if they feel there is a “level playing field” through a fairer tax system. There have been recent reports that taxation has not been fair and a closed “insider” process. Due to shifting population and the changing business climate over the past 20 years, the same taxation system needs to be overhauled to today’s environment. The people of Cook County deserve transparency as it relates to property taxes. Working along with the local chamber of commerce, government officials and advocacy organizations, I wish to outline a process to make our property tax formula fairer. This would help both businesses and families. Every area should be accessed in a consumer friendly manner that is easy to understand. I believe that greater transparency will enable residents to understand a complex tax formula and empowered to be more engaged into the process. The Southland has not equally benefited from the economic recovery and bringing incentives for businesses to locate in the Southland would level the playing field and ultimately benefit the entire County. Business incentives need to be expanded to my region to remain competitive. Local municipalities have used TIFs to attract and maintain businesses. However, this mechanism takes away from an already underfunded school system. As an alternative, this type of program can be expanded to create a regional developmental authority and/or technological incubator programs. The assistance from the county and state can help these types of programs can help pool together local municipalities to attract large scale developers to create a better competitive business atmosphere that will also support working families. My name is Donna Miller and I am humble and excited to be the Democratic nominee for Cook County Commissioner in the 6th District! As part of the 2nd largest county in the country, the six district is all south suburban and unique - that it borders Indiana on the east and Will County on the south and west sides. There are over 30 municipalities that touch or are within the district. Over the past few months, I have had the opportunity to meet people throughout the 6th district. The number one constant issue echoed across the district is our unfair property tax assessment system. Studies have indicated that the southland is hit the hardest! As commissioner, I will work towards making a fairer tax system regardless of social and economic status and where families live. In a time when our nation and county is facing serious changes in the healthcare industry, my 25 years of healthcare experience will serve the men, women and children in the 6th district as an advocate to ensure services are accessible to people who need them. Lastly, I want to work with community, business and local leaders to help spur economic growth and jobs to our communities. Working together, I want to make sure families and businesses continue to call Cook County their home. The 6th District is one of the most diverse in Cook County. I strongly believe diversity is a key element in making Cook County better! We have the opportunity to bring in more women than ever to the county board. I will continue to listen to you and will work tirelessly assuring that the people of the 6th District are represented to the best of my ability. Check out our website, godonnago.com, and help make that difference. Cook County government can do better and we will do better - together. Let’s bring in a new era where transparency is the norm and efficiency guides us. I’m Donna Miller and I look forward to earning your vote on November 6th.